Large collection of classic screensavers. Place a beautiful water effects as your desktop's screensaver. Santa delivering presents in 3D. 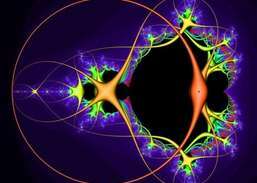 Screensaver that draws fractal images. 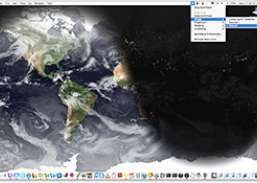 Play a movie or screensaver at the background of your desktop. Like Berkeley's old After Dark. 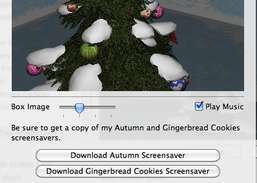 Place a customizable 3D Christmas screensaver on your Macintosh desktop.